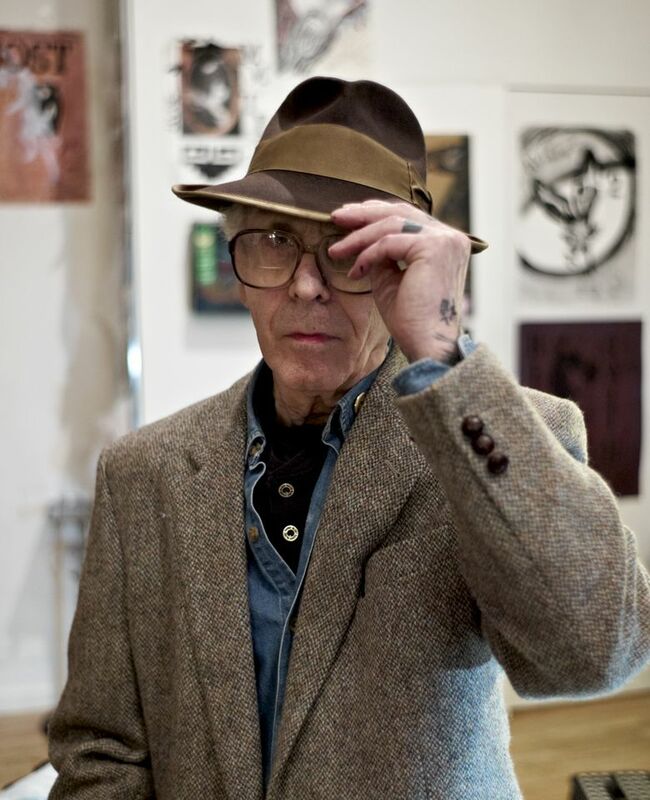 After watching the Thom DeVita episodes of ViceTv’s groundbreaking Tattoo Age series, I decided that I should head to Pittsburgh this summer and get tattooed by the incomparable Nick Bubash. Earlier today I saw that he’s going to be having a solo show at the Warhol. This summer. I like it when everything lines up. 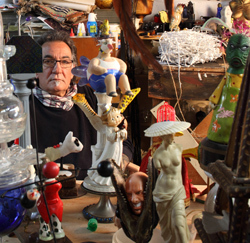 The Patron Saint of White Guys That Went Tribal and Other Works, the first solo museum exhibition of work by Pittsburgh artist Nick Bubash features a recreation of the artist’s studio which focuses on a large group of found object sculptures. These sculptures reveal a playful approach to the artist’s practices and sardonic sense of humor. 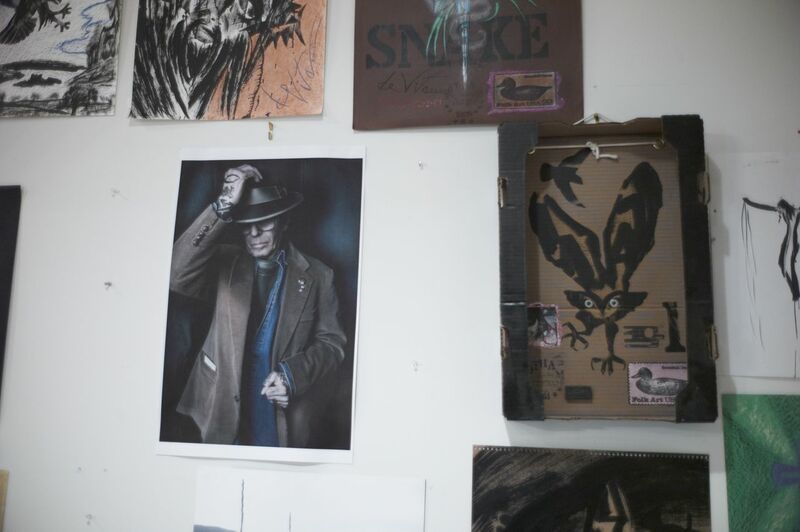 Bubash has exhibited extensively across the US since 1989, with work exhibiting a wide range of media and diverse stylistic approach. Bubash is also a nationally recognized tattooist and is the owner of Route 60 Tattoo in McKees Rocks. I think this is going to be one of those ‘worth the commute’ sort of things, so if you can make Pittsburgh part of your travel plans, you might just oughta! An hour and a half bus ride and I could have been in NYC, camera in hand, for the DeVita Popup Gallery at King’s Avenue Tattoo. I would have ended up talking to people I knew, meeting new folks and, in the long run, wouldn’t have taken a single photograph. Still. It would have been fun to be there. Luckily for me, and for Occult Vibrations, my sister Kathleen and her husband Atom (who’s a dang fine photographer) live in NYC and were able to snap a few pictures for us. Not quite the same as being there, but ultimately, pretty darn good. From what I hear it was really well attended; people bought some really great original art from Thom, got tattooed with DeVita flash by Scott Harrison (and others) and the event was a great success, which will really help Thom out. 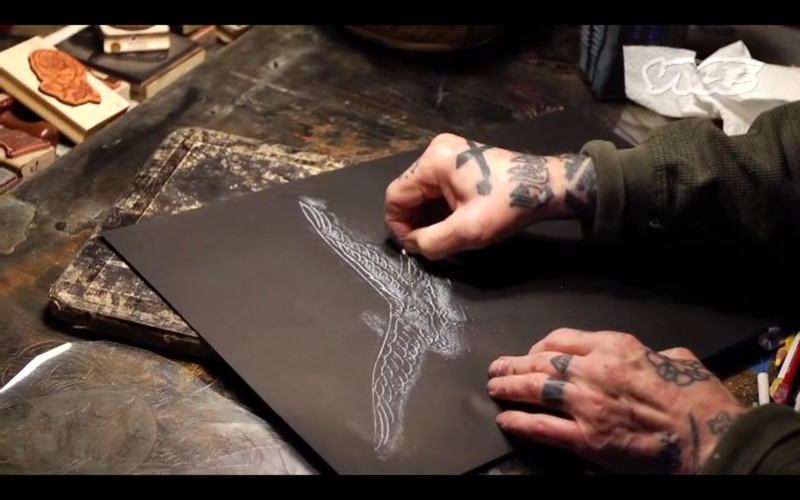 If you haven’t watched the DeVita episodes of Tattoo Age, you can do that here. Last year I was lucky enough to have been tattooed by Scott Harrison. After the tattoo I had plans to swing by the Vice offices to drop off a VHS copy of Frisco Skin and Tattoo Ink to Chris Grosso, the producer of the Tattoo Age series. 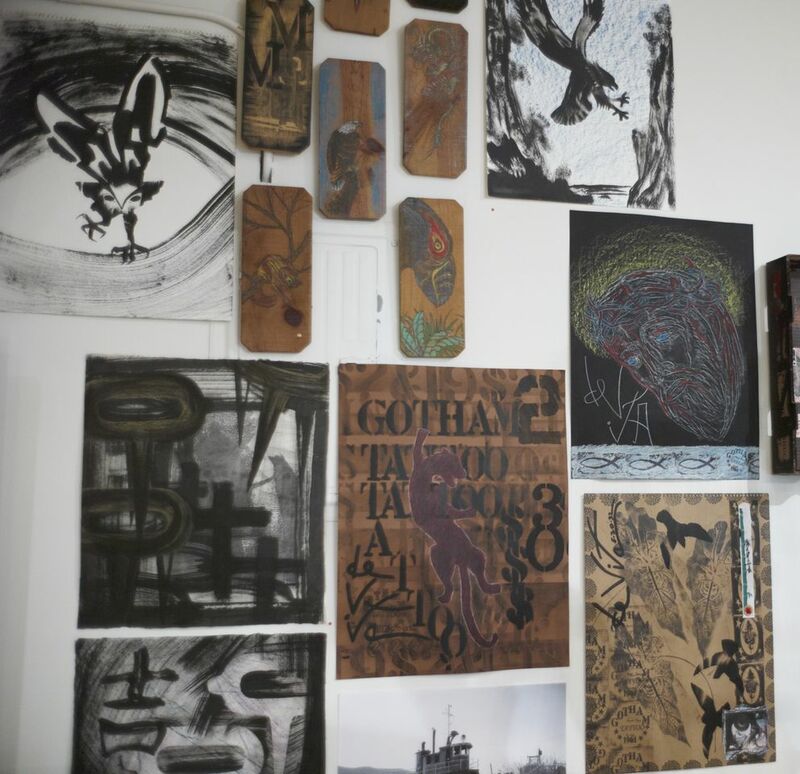 At the time only a few of the episodes had aired and it was already shaping up to be and amazing tattoo documentary series; the perfect alternative to the cable network atrocities that were airing. Harrison is a natural story teller, and as the tattoo continued he told me about Tattoo Age filming with him and Thom Devita. I was floored. DeVita. 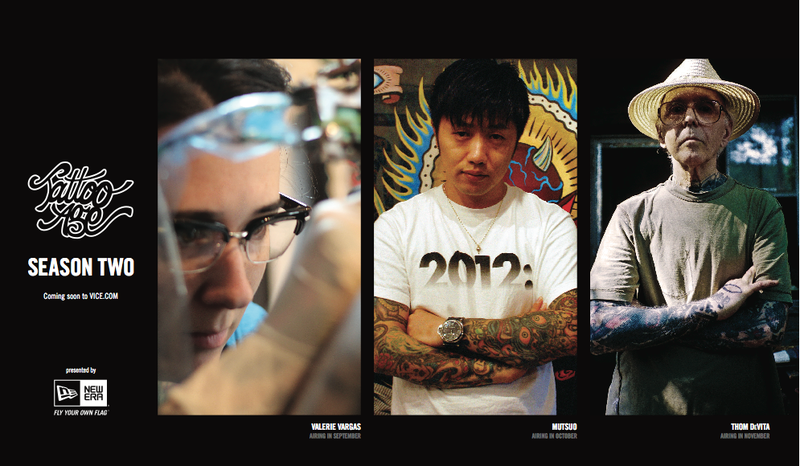 I had seen his work, of course, and compared to the relatively young tattooers featured so far he was a major score for the Tattoo Age folks. Scott detailed how they got Thom to talk on camera, shared a few great anecdotes and we eventually moved on. Of course when I got to the Vice offices and met Chris, the first thing I brought up was the DeVita footage. At the time, I’m fairly sure they were editing the Corbin episodes (thus the VHS I was dropping off) and the season if thats what you want to call it was coming to a close. So… when was Thom’s arc going to air? Chris didn’t have an answer. At the time there was no official word about season 2 so that footage could have potentially never seen the light of day. That would have been a tragedy. When I left the Vice offices I was worried. 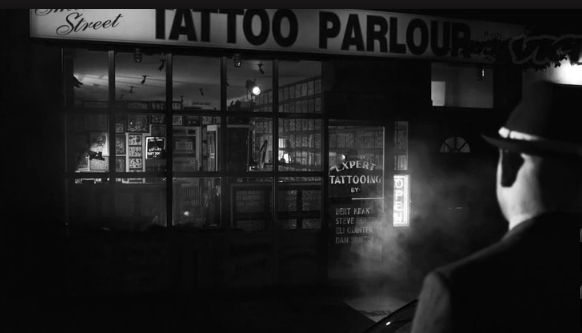 Several months later I was getting tattooed by Robert Ryan and we started talking about DeVita, and he mentioned that he had just completed an interview for Vice, for Thom’s segments. I’ve been waiting for these episodes since last year, and I couldn’t be happier that they’re finally going to air. The first episode airs on November 21. Update: Just got word from Juliette from Vice- The DeVita arc will be FIVE episodes long. Five. Feel the love.